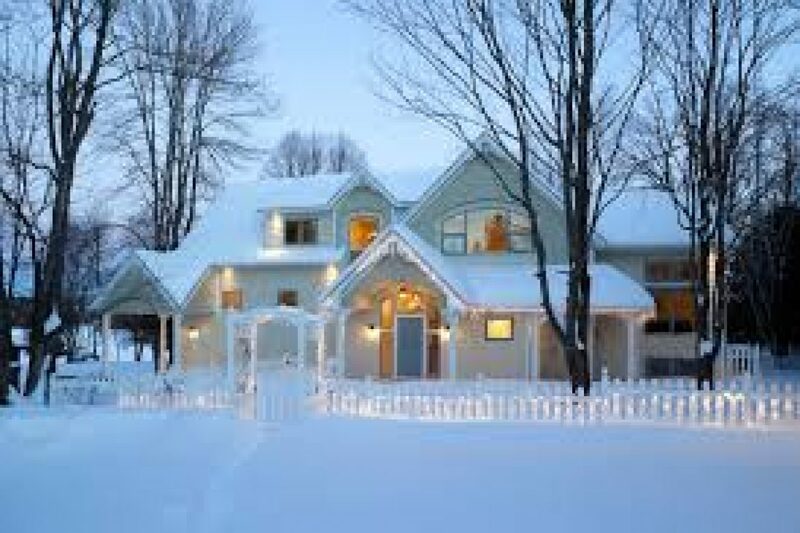 How to sell Your Home in the Winter? 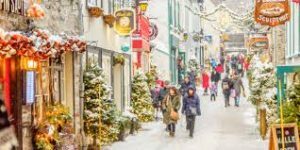 Have you ever seen a postcard of a charming Old Quebec City street in the summer? It appears next to an exact angle of the same street in the winter. The summer version looks nice, but normal. 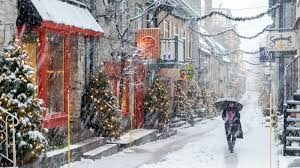 But in the winter, the seasonal lights and decorations, carefully groomed snow drifts, and frost-glazed windows add this … Je ne sais quoi … to the environment, and you could swear that there is more charm and “warmth” there, than what is captured in the summer photo. That is “How you Sell your Home in the Winter”. Now let’s transform these intangible sensations into practical ideas for selling your home in the winter. The thought of selling your home at all may already be a chilling thought for some. Historically in Southern Ontario, strongest listing seasons have been the spring and fall. Seasonal sale activity slows somewhat in the summer months, as it does in the middle of winter. If not careful, selling in the middle of winter could freeze out potential buyers, and ultimately, the best sale price. 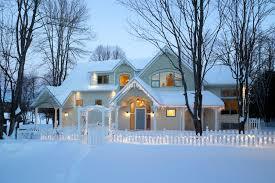 REMEMBER: Your listing agent may not be as busy during winter months. Bonus for you! They should have more time to work on your deal! So what winter magic can lure a buyer away from their winter’s den, and into your home’s warm embrace? If you know a few months in advance that you will be placing your home on the market in the winter months, try taking exterior photos of your home with green grass and fall leaves still on the trees. Your home under bright sunny skies and lively fall colors can be a nice alternative perspective for your listing. Take another set of exterior photos as you get closer to listing day, especially on a sunny day after a snow fall. Sculpt the exterior grounds for a tidy appearance. AVOID: brown grass and stripped trees, against a drab sky. NOTE: If the first picture you have doesn’t cut it, you don’t have to stick with it. Take a new picture at a later date under better conditions, and replace the old one. Provide listing agent with both winter and alternative weather images and insist that they post both images on the MLS, or at least on the agent’s private site for your home, to inspire potential buyers. TIP: Take exterior photos with plenty of sunshine, blue skies and with interior and exterior lights on. Clear snow from driveways, and walkways. Cover gray or black snow with fresh powder. Dress it up! Pretend it is a movie set! Make sure that your home seems like the warmest place to be this winter. Add a splash of colour with seasonal conifers, or shrubbery. Local gardening stores can provide you with plenty of seasonal options. AVOID: Over-decorating for Christmas or Hanukkah at this time. However, a cute snowman during a visit, in the front yard, may be a welcoming touch, and humanizes the place in your absence. NOTE: I still see MLS listings in the spring with a drab old winter exterior photo as primary image. If your home doesn’t sell in the winter and your are heading into spring, get new, fresh photographs of your home (preferably inside and out) with updated seasonal staging. If you don’t update your listing, it shows laziness and a lack of interest from you and your agent. When photographing or showing your home, turn on all your interior and exterior lights – even in the day time. Light the fire place ahead of a showing, and heat the house to a comfortable temperature. This is not the time to conserve energy. Reheat a banana loaf, or seasonal pie in the oven, even if you don’t plan to eat them. Warm sensations are more powerful and effective when they come from within. Attack all senses. Visitors should be tempted to stay in your home longer, rather than go back out. AVOID: Playing seasonal music during showings. Give prospective buyers and their agents plenty of reasons to visit your home. A good online presence, additional photos and story prior to posting the deal on MLS could manifest the urgency and fear in a buyer that others may get to your house before they do. 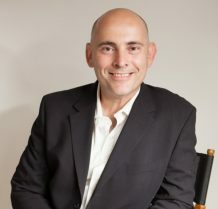 Facebook, Blogs, stand alone sites are all good at making new connections with buyers. You will get more buyers doing more intense website shopping in the winter, to reassure themselves that your home is worth braving the weather. Use those sites to tell the entire story! Make each room more than ordinary by writing a short description about each image. NOTE: MLS allows up to 9 photographs. Make sure to take extra photos for alternative marketing sites. Stage each photo. AVOID: Rooms that don’t look great, or are cluttered. Before the home hits the market, announce to everyone you know and everyone your agent knows, in advance, that your home is about to go up for sale, even while you are still getting it ready. Offer exclusive showings to potential buyer and their agent, so that this visit appears like an extra effort by you, the listing agent, and the buyer’s agent. Advise the other side that you will be leaving them some hot beverages and sweet snacks for their visit when they arrive. How can they stand you up when you make such an effort? Sun sets earlier in the winter. Choose a noon to 3 PM open house on both Saturday and Sunday. Weather is erratic in the winter, so consider an Open House both Saturday and Sunday, in case one of the days sees bad road conditions. AVOID: Do not be present during showings of the home, even if you did bake, and want to personally see if the shoppers like your offerings. You want the buyers to see themselves in your home, and not to picture you there. Play up the positives: Certain types of properties are best for winter living. You may actually have an easier time selling those homes during winter than in warmer seasons. Be careful not to make the conclusion that just because the property is winter-friendly that it would sell itself. Emphasize the winter-friendly aspects: Display to the fullest snow shoes, skis, and snow mobiles, in and around your home. Sheds that store additional winter gear should be staged. Mud rooms should be equipped for handling snow covered boots and coats. Make available maps to local attractions and trails for buyers to review. NOTE: try arranging an activity to the buyer after they visit your home. This may help create emotional ties. In some cases condominiums have their edge over single family homes. Aside from maintenance-free living, emphasize proximity to public transit, underground passages and shopping. A sauna, indoor heated pool, or even an outdoor heated pool accessible in the winter may be perceived as a bonus. Attached garages could be favoured in the winter by expecting mothers, young families or older buyers who prefer to stay out of the elements. Winter selling presents its own set of challenges, but also has its many advantages: There are typically less homes listed, so your buyer may have an easier time zeroing in on the home they really want: yours. So make that search an easy one for them. At the same time, don’t assume you will have a hard time selling in winter. Many homes do sell in the winter time. Just make sure you execute as many ideas as you can to make your home stand out online and in person. Surprise the winter house hunter: Bring that Old Quebec winter charm to your home.